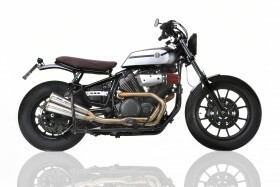 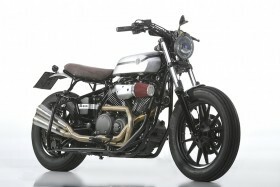 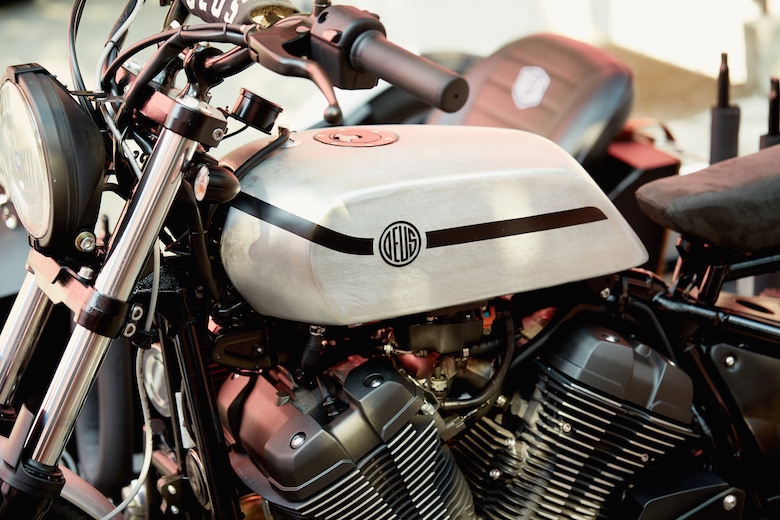 D-Side is the third son of Yard Built’s project, born in collaboration with Yamaha. 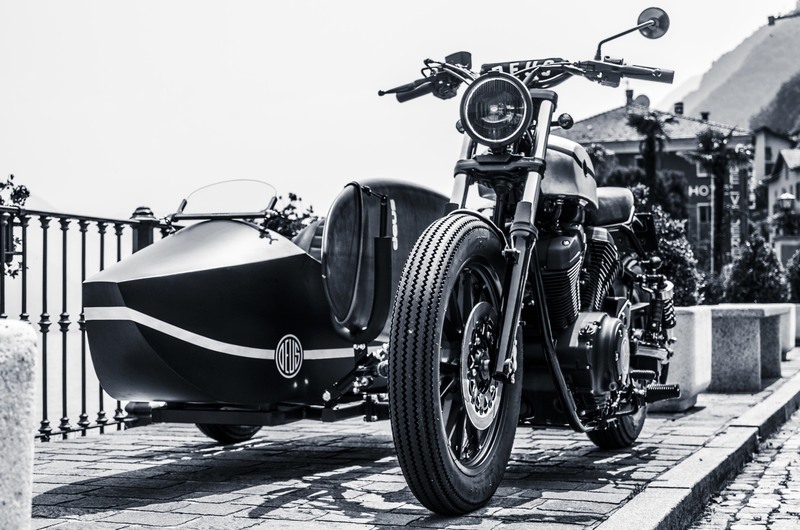 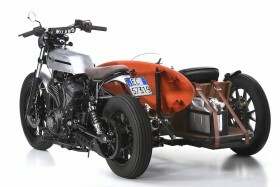 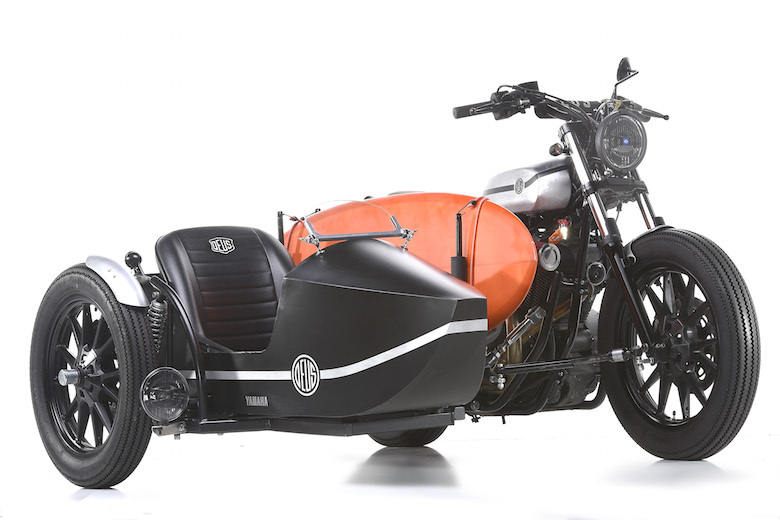 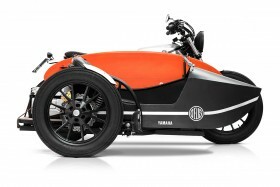 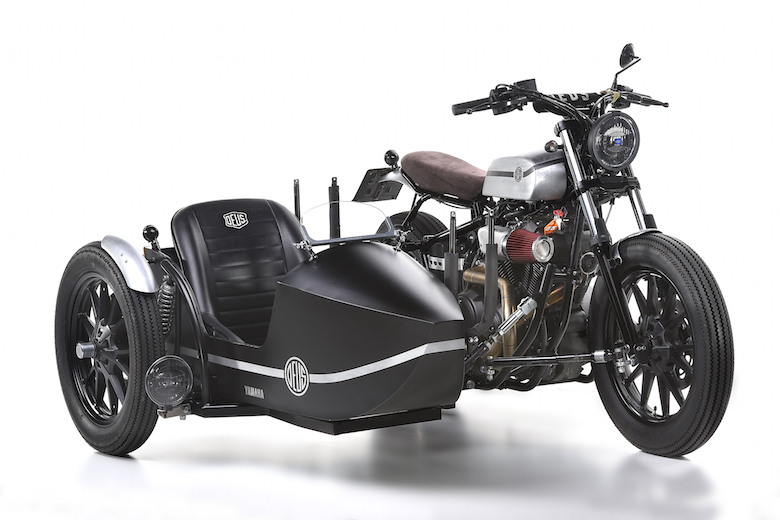 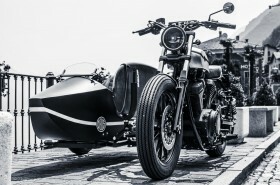 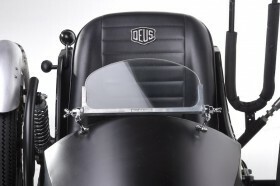 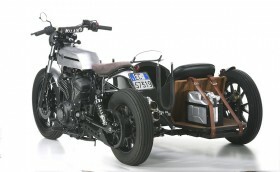 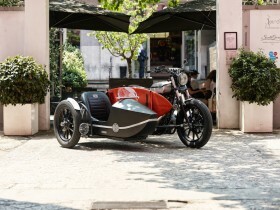 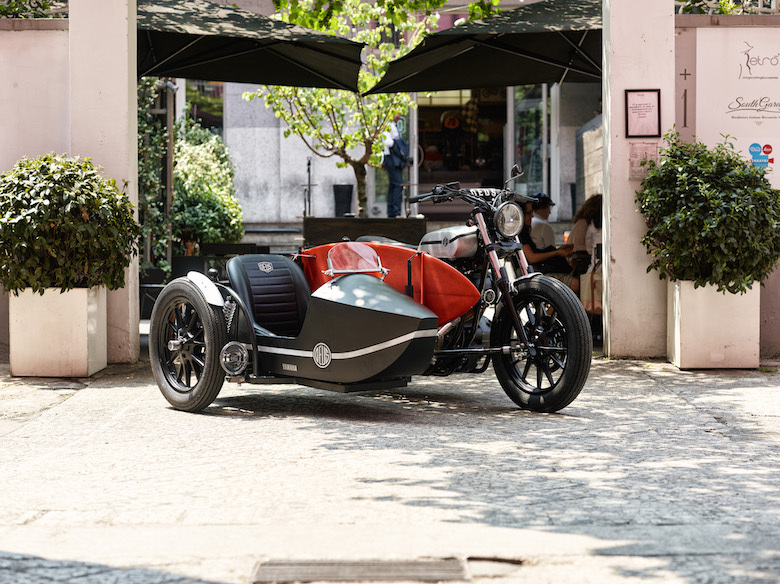 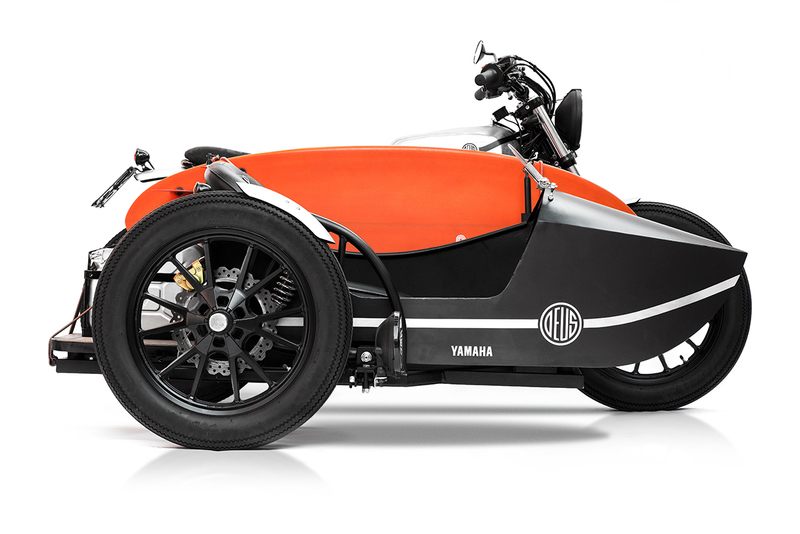 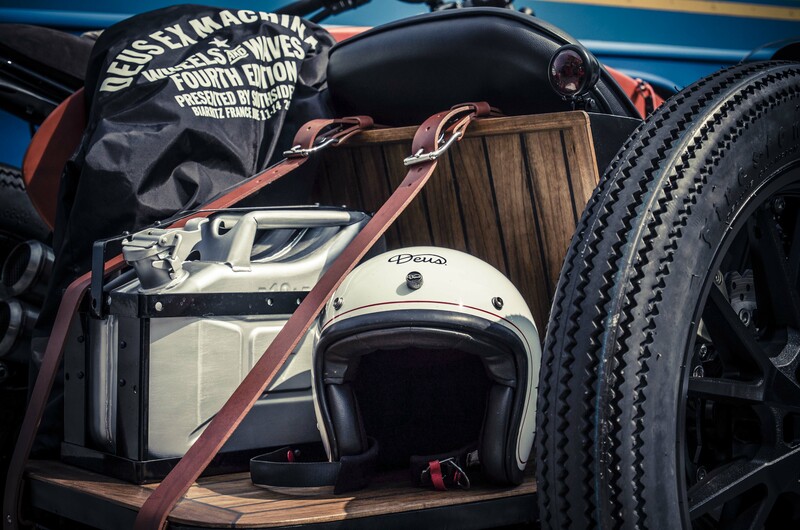 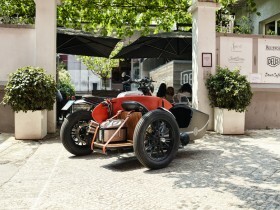 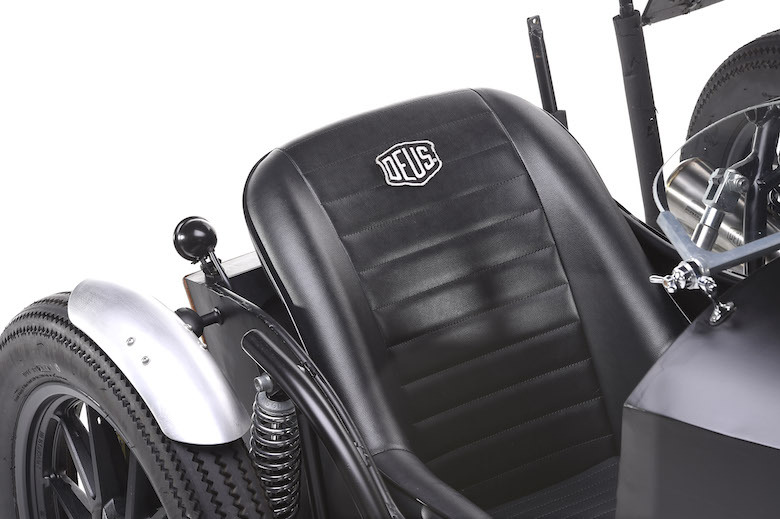 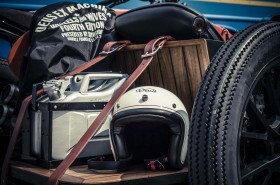 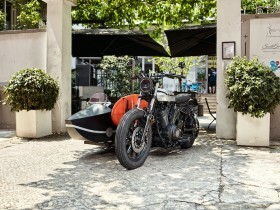 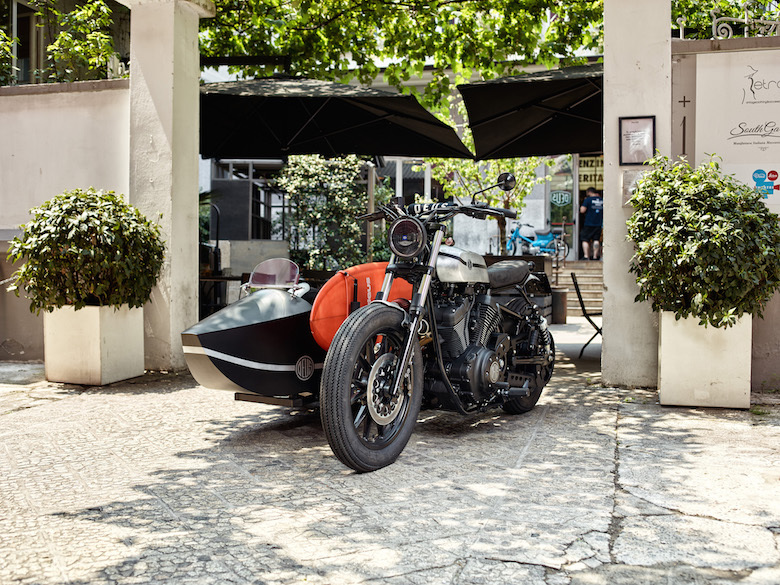 It’s an idea that came up by chance, after seeing a motorcycle with a sidecar at a show in Madrid, and after feeling the invincible need to have a 3-wheeled Deus. 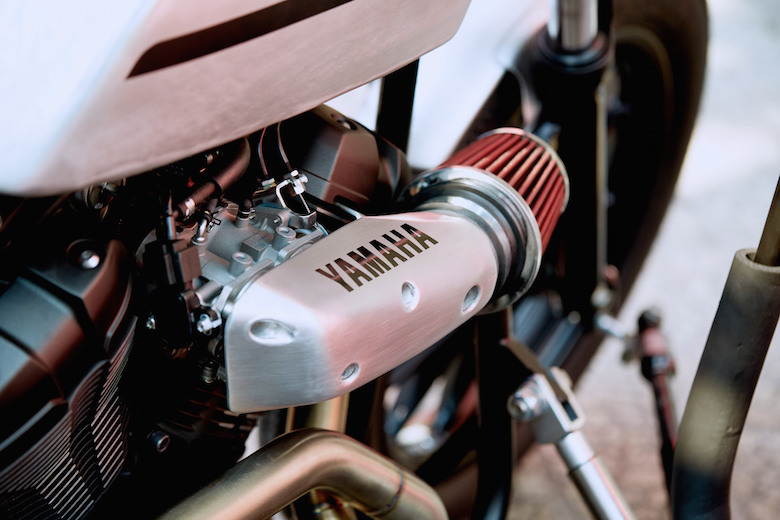 From the idea to the reality the path was short, and here credit goes to our will to constantly create new motorcycles and the enduring bond with Yamaha, that lets us give total freedom to our ideas, and always on incredible donor bikes. 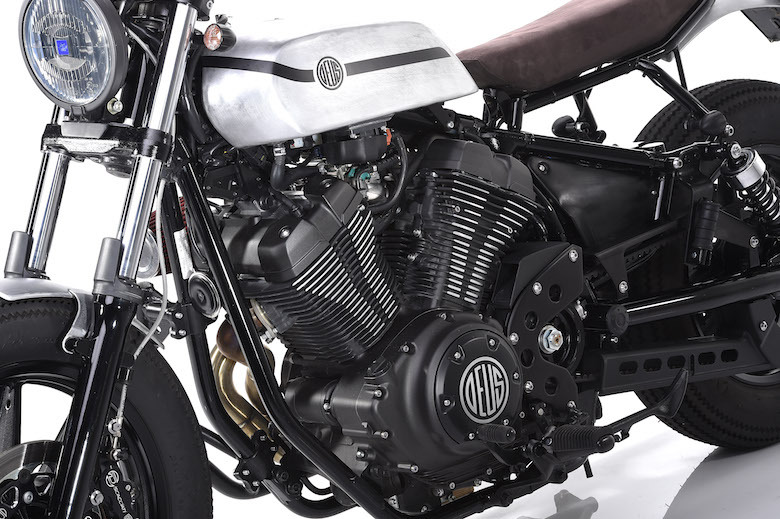 This time it was turn for the XV960, a custom motorcycles with an “all torque” engine and a pleasant design but almost too classic for us. 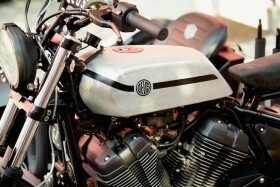 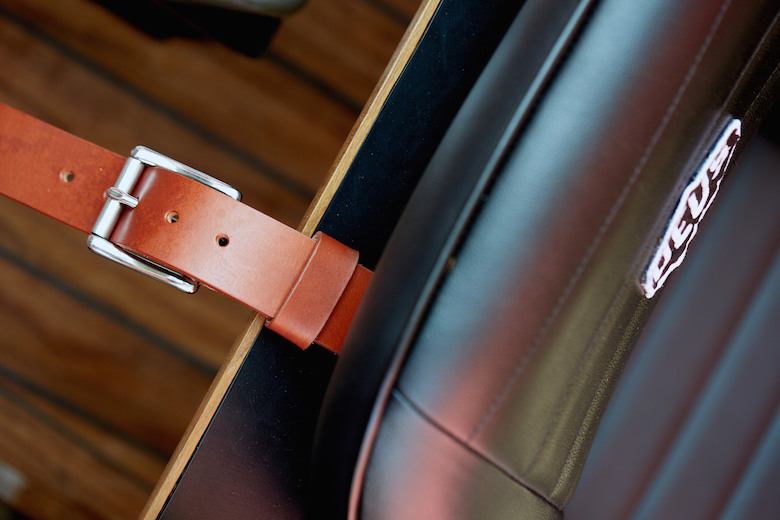 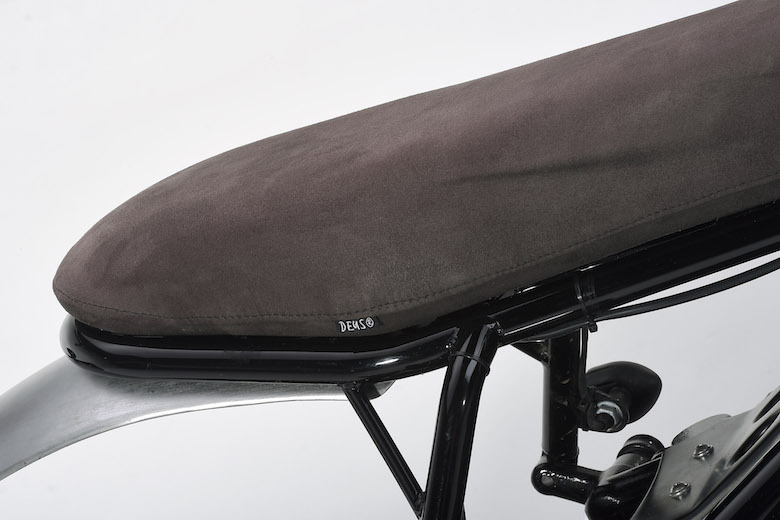 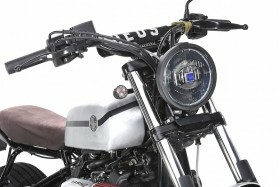 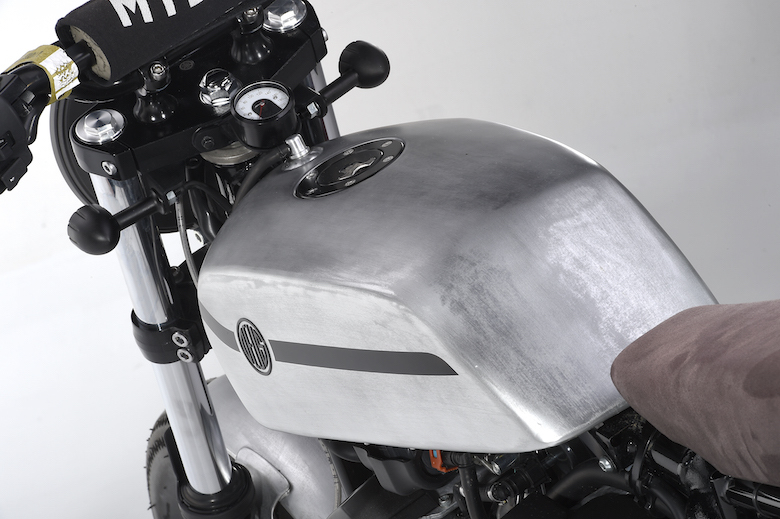 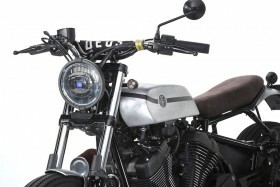 Perfect donor bike for experimenting and innovating, which is the essence of Deus’s Philosophy. So we started adding, with the idea of shaving some weight off, complications and not-so-noble materials and in doing that we took inspiration from the Drover’s Pup, born on the myth of the SR, and also one of the bikes that represents more the Deus “surf and bike” style of which the resulting bike is in the pictures, but most of all in our stories after a memorable trip to Biarritz in the occasion of the Wheels and Waves 2015. 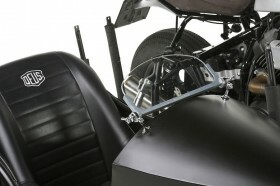 – Brand new sidecar system with 19” wheels with surf rack included. 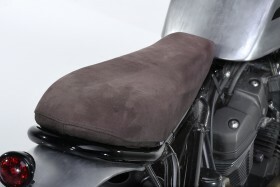 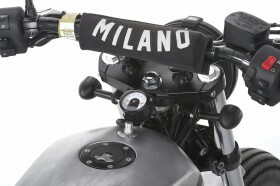 – MX Handlebar with dedicated riser. 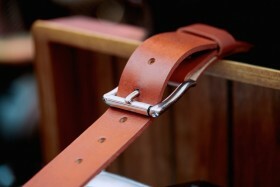 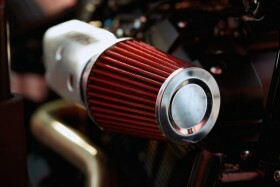 – A lot of other small parts or modify! D-Side è il terzo “figlio” del progetto Yard Build, nato in collaborazione con Yamaha. È un’idea nata per caso, dopo aver visto una moto con carrozzina in una fiera di Madrid, ed aver provato l’irresistibile impulso di avere una Deus a 3 ruote. 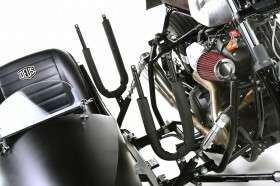 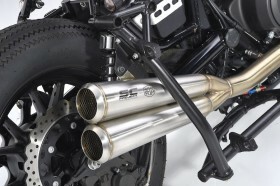 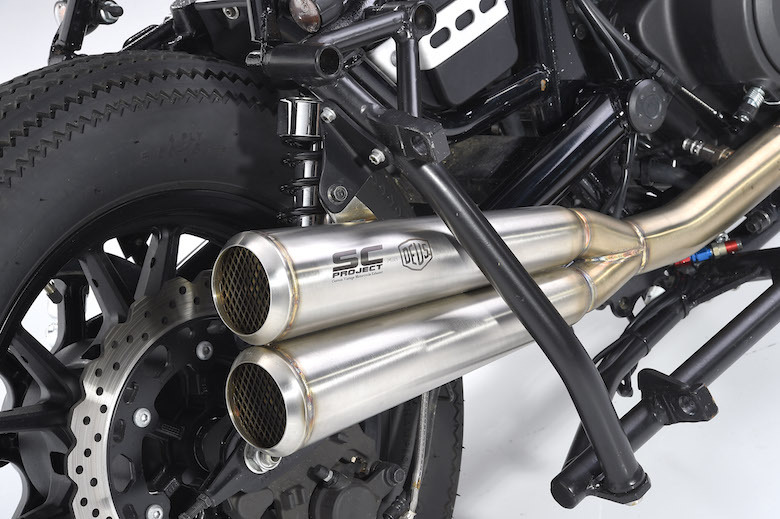 Dall’idea alla realtà il passo è poi stato ben breve, e qui il merito va alla nostra voglia di creare moto di continuo ed al solido rapporto con Yamaha, che ci permette di dare sfogo alle nostre idee, e di farlo su basi sempre incredibili. 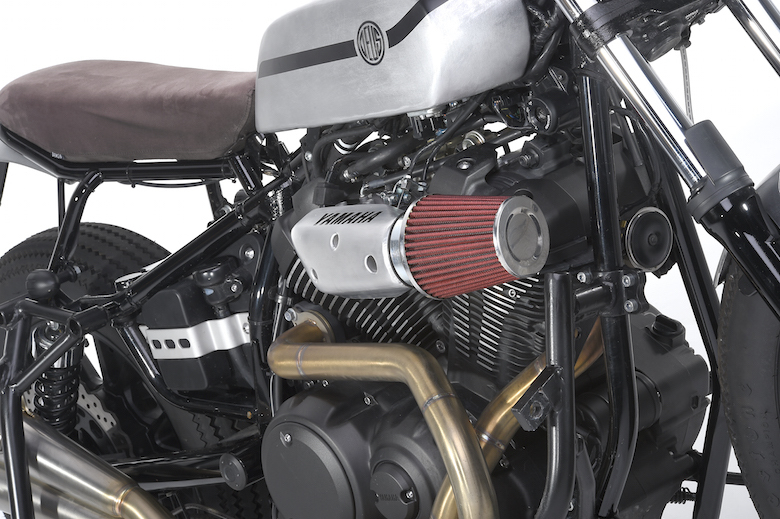 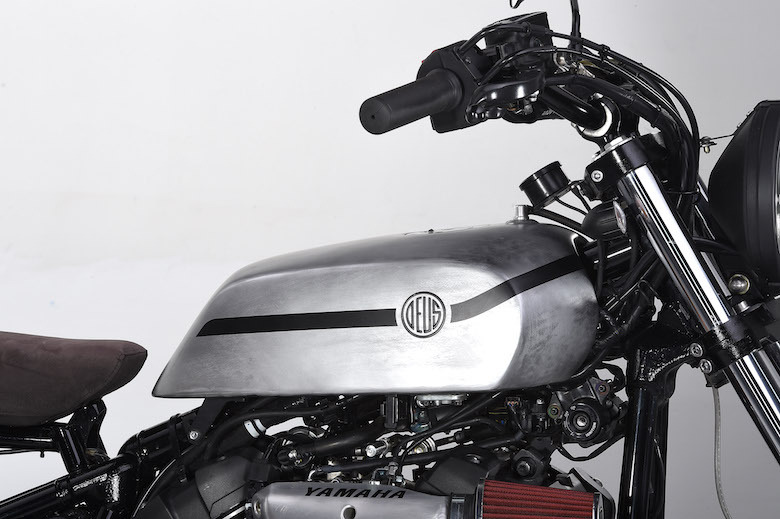 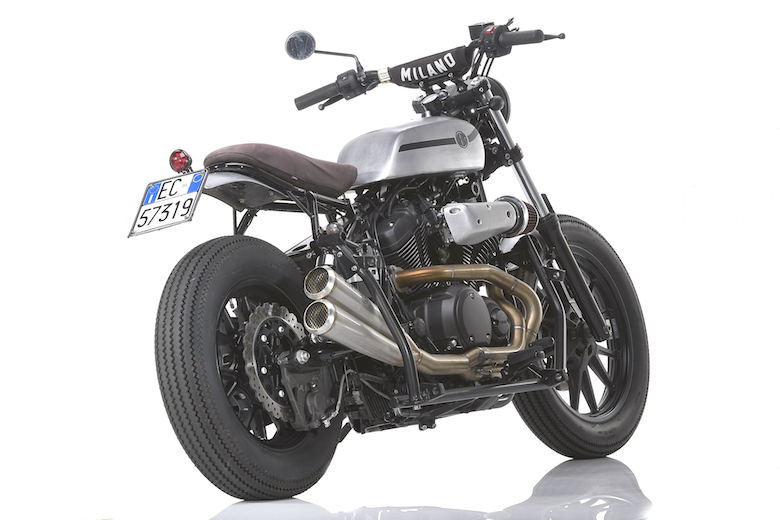 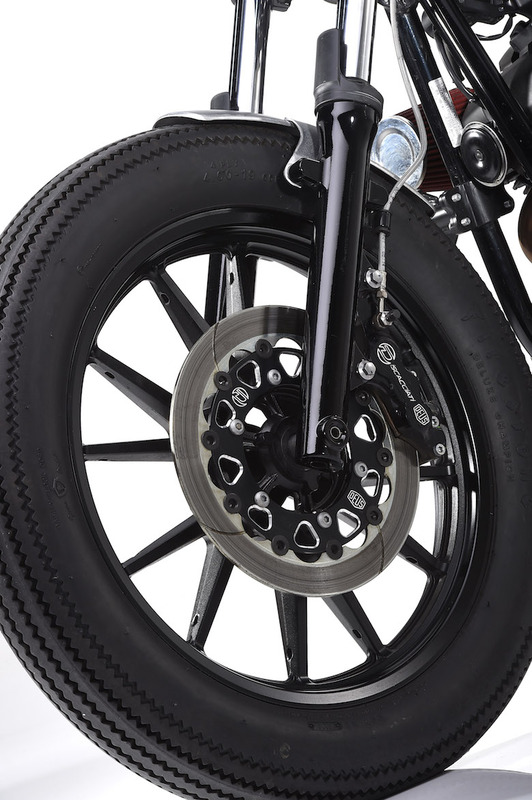 Questa volta è toccato alla XV950, una custom dal motore tutta coppia e dalle linee piacevoli ma fin troppo classiche. 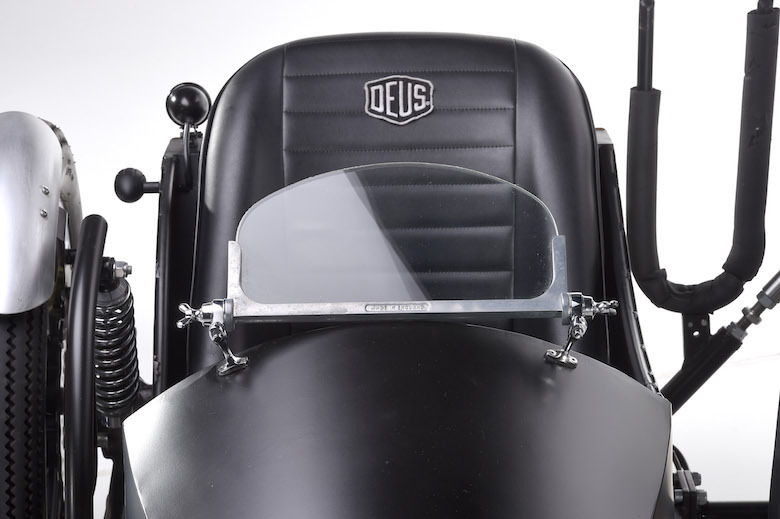 Base perfetta insomma per innovare e sperimentare, che è poi l’essenza della filosofia Deus. 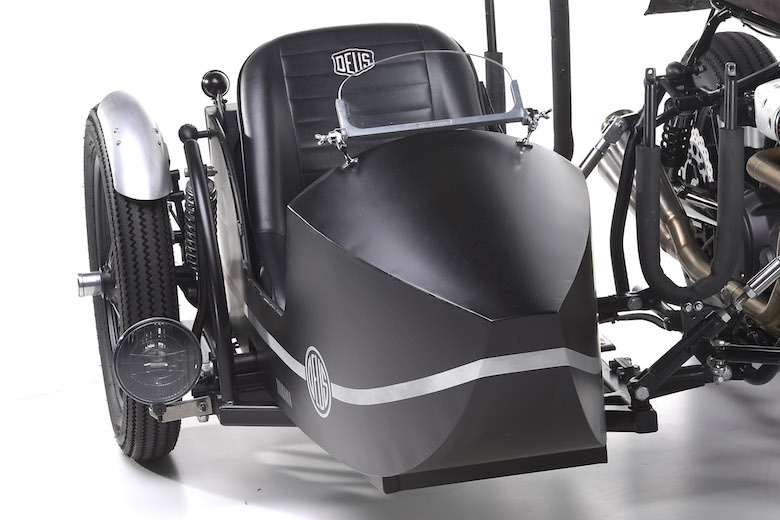 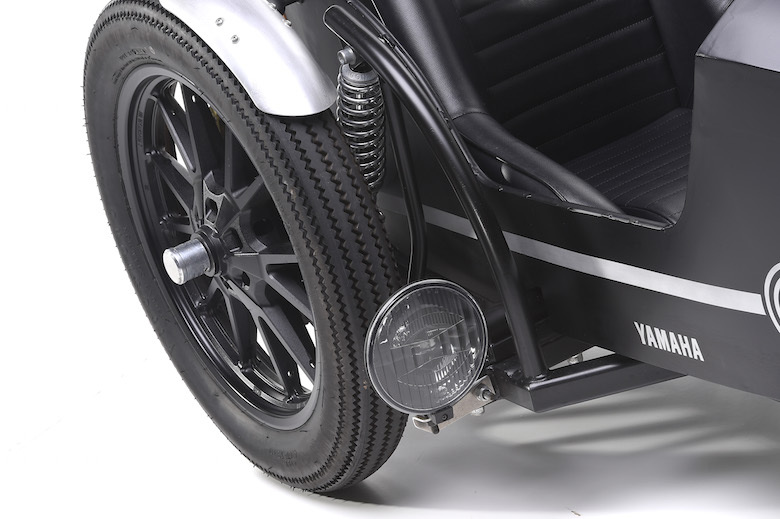 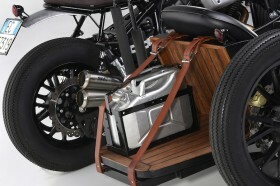 – Sistema sidecar completo con ruota da 19″ e porta surf integrato. – Filtro conico realizzato in alluminio a mano. – Un sacco di altre modifiche piccole e grandi!